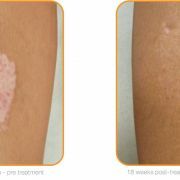 Recell® is a system that was designed to help restore the appearance and function of skin that has been damaged through trauma such as burns (including laser and IPL), deep grazing, tattoo removal and medical conditions such as vitiligo where the body’s immune system attacks its own melanin cells to cause loss of pigmentation. It can also help in wound healing and thus can be used in cosmetic procedures that risk loss of pigmentation (hypopigmentation) such as laser resurfacing, deep peels and dermabrasion. This state of the art technology is used worldwide with amazing success. In the past it was only accessible to the worst cases of skin loss and used in large hospital burns-units. Thanks to medical advances now the average patient can have access to Recell® too. Recell® involves taking a biopsy, or graft, from a healthy area of skin which contains cells responsible for producing melanin (melanocytes), collagen (fibroblasts), epidermal cells (keratinocytes), improved immune function (Langerhan cells) and chemical messengers that promote healing. This biopsy is then processed in the Recell® kit to separate and concentrate the desired skin components. This is known as the “regenerative epithelial suspension” or RES. In the meantime, the traumatised skin is prepared ready to accept the RES by removing the damaged top layers. 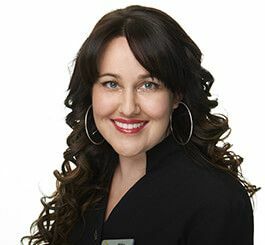 There are various methods to do this which include laser, dermabrasion and deep peeling. Once ready the Recell® skin can be sprayed (hence the term “spray on skin”) or dripped onto the prepared area. A specialised dressing is then placed over the site for 5 to 7 days. The whole process takes from 1/2hr to an hour depending upon the methods of site preparation used. In most cases a single treatment is all that is needed. A Recell® kit can supply an average area the size of a large hand. 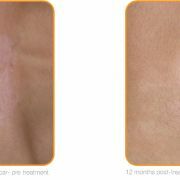 Recell® has been proven to achieve a 70% re-pigmentation in 70% of patients! 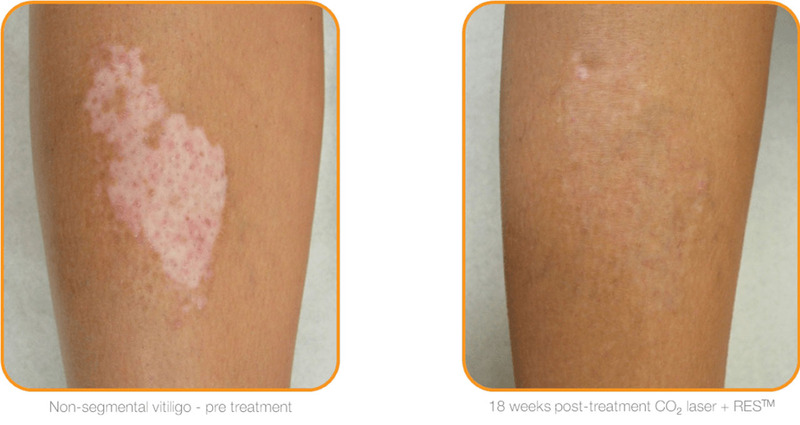 Patients treated with Recell® for healing of burns show a faster healing time with less residual scar tissue and a more normal looking skin tone. It has been shown to dramatically improve healing in chronic ulcers also. It is very rare but there is always a chance of minimal to no response. In most patients will see 60% improvement within 6months. This can continue to improve for up to 12 months. The results are permanent. What are the risks of the Recell® treatment? In addition, Recell® kits are a ‘one time’ only use and disposable. The cells from the donor site are the patient’s own. This means that there is no chance of cross contamination of blood products, minimal chance of reaction or rejection of the RES. Infection is always a risk but minimalized by the use of oral antibiotics in the post treatment days and the use of a registered day hospital for the procedure. Registered day hospitals follow strict protocols in regards to cleaning and sterilisation. Most of the risks relate to the resurfacing procedure that is required to prepare the recipient site for the graft cells, as well as the donor site. The surgeon will go through all these risks with a patient but they are minimised by the fact that the graft tissue has a high concentration of healing factors. 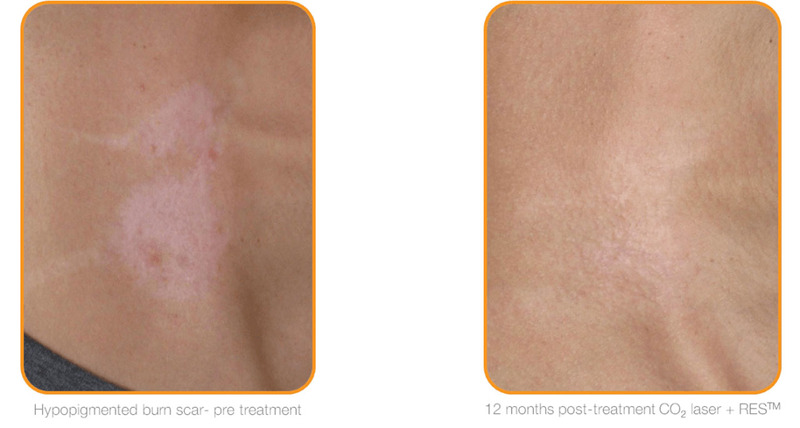 In fact Recell® can be used in cosmetic procedures such as laser resurfacing and dermabrasion to minimize negative outcomes for patients! In addition the Recell® graft tissue is also used on the donor site to improve it’s healing too. Who is suitable for the Recell® treatment? 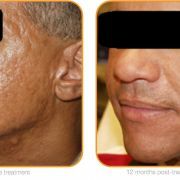 Any patient who requires repigmentation (burns, vitiligo, deep grazing), post tattoo removal, or to improve outcomes in cosmetic procedures such as laser resurfacing, or dermabrasion. It is not suitable on keloid scars or if vitiligo is unstable and progressing. Vitilgo must be stable for 18months.